PorscheThe 2019 Porsche Cayenne S.
The 2019 Porsche Cayenne marks the debut of the SUV’s third generation. In spite of its controversial styling, the first generation Cayenne would go on to become a highly successful addition to Porsche’s lineup. 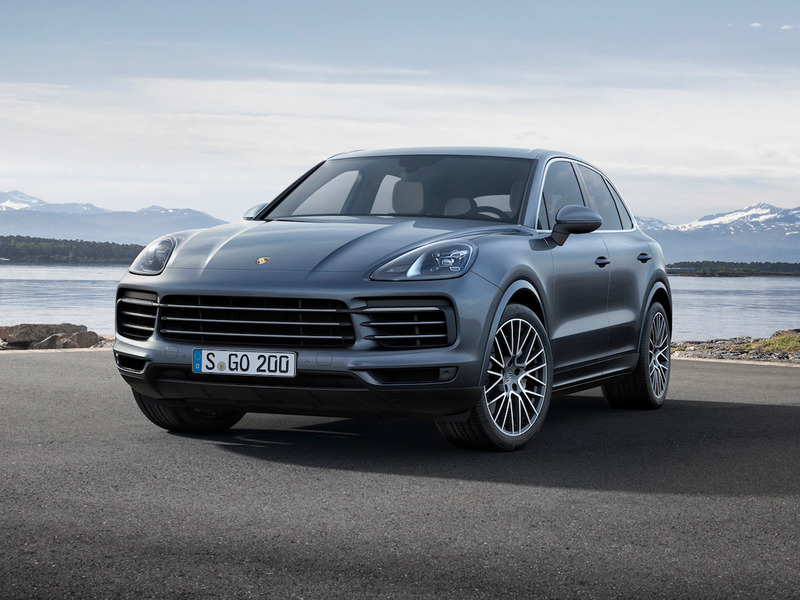 Fifteen years later, the second generation Cayenne along with the smaller Macan SUV now account for half of Porsche’s global sales. On Tuesday, Porsche unveiled an all-new third generation Cayenne SUV at a ceremony in Stuttgart, Germany. The new 2019 Cayenne is expected to arrive in US dealerships sometime in the middle of next year. In addition, it will serve as the replacement for the outgoing second generation model that debuted in 2010. In true Porsche fashion, the new Cayenne’s styling is evolutionary rather than revolutionary. In other words, it looks a lot like the car it will replace. Although a bit more attractive. The standard Cayenne will get a 340 horsepower, 3.0 litre, turbocharged V6 engine. Those who opt for Cayenne S will find a 440 horsepower 2.9 litre, twin-turbo V6 under the hood. All Cayennes get a new eight-speed Tiptronic S automatic transmission designed for to deliver quicker and smoother shifts both on and off the road. The company’s Porsche Traction Management all-wheel-drive system is also standard across all Cayenne variants. 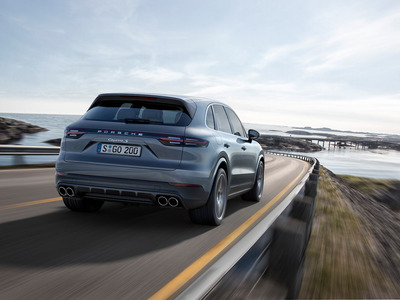 The new Cayenne is 143 pounds lighter thanks to a weight loss plan that includes an aluminium-intensive chassis and a lightweight lithium-ion polymer starter battery. 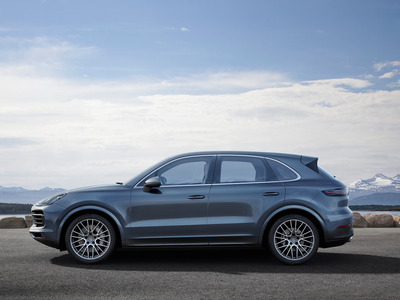 Porsche upgraded the Cayenne’s on road handling with a new three-chamber air suspension system and rear-wheel steering. Inside, the 2019 Cayenne gets the latest in Porsche’s arsenal of high tech wizardry. 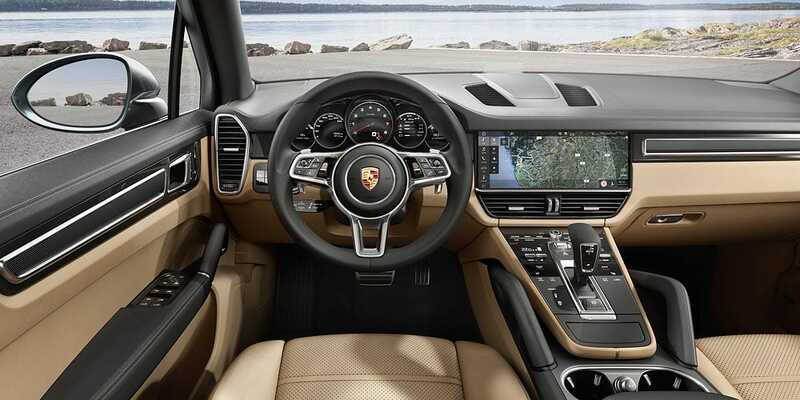 This includes a 12.3-inch high-definition touchscreen running the latest Porsche Communications Management infotainment system. In front of the driver is a traditional analogue tachometer flanked by a pair of seven-inch digital instrument displays. Like the second generation Panamera that debuted late last year, the buttons on the Cayenne’s new center stack has been replaced by a glass-look touch surfaces. The 2019 Porsche Cayenne will start at $US65,700 while the Cayenne S will start at $US82,900.